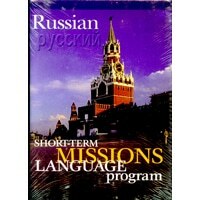 This COMPLETELY revised (2009) resource is written by a person that has been involved in about 30 Short-term missions overseas trips. 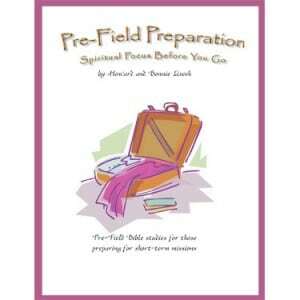 It is primarily for those who will be organizing or leading the trip however everyone will gain from reading this book. 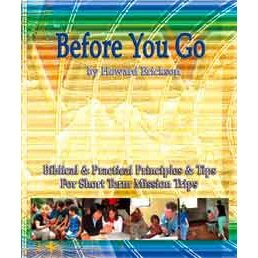 This manual has great tips on making travel arrangements, communicating with host missionaries, and packing for the trip. 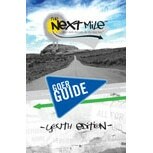 This 120 page manual summarizes experience gained by years of travel on short term-missions teams, and professional photography. Chapter 4 Who Is a Missionary? It contains very practical information to help prepare for and conduct a successful short term trip. It also includes a great section on how to communicate the value of the trip to friends and supporters through media. 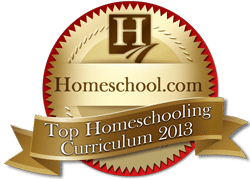 Before You Go is designed to save time and effort for beginners and pros alike.